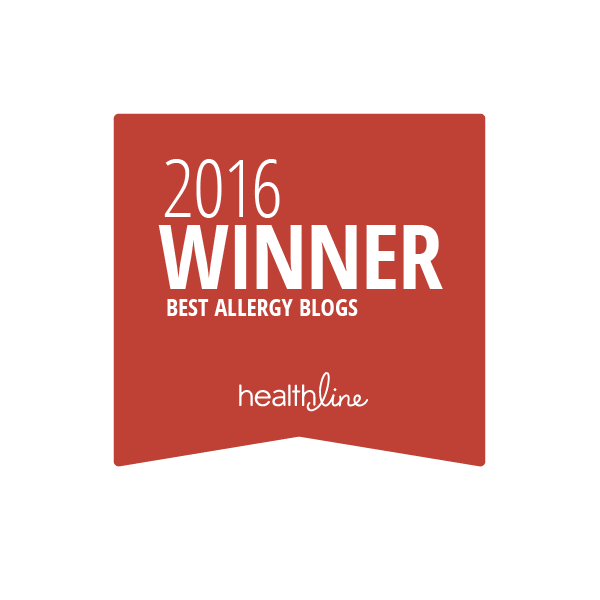 Allergy Shmallergy | Simplifying life for families with food allergies. When you suspect that you or a loved one has a food allergy, you’ll want to get an official diagnosis. More and more, patients are seeing offerings and advertisements for IgG test kits that claim to identify food allergies and sensitivities. But what are they? And, is that the correct test for diagnosing a food allergy? IgG tests – known as food sensitivity tests – measure your immune-antibody response to foods. Specifically, it measures something in your immune system called immunoglobulin G – the body’s most abundant antibody that protects against bacterial and viral infections. These kits require a blood sample (sometimes through a fingertip) that gets mailed back to a laboratory to evaluate. Kits test against around 100 food products and food additives, sending you back results and recommendations. 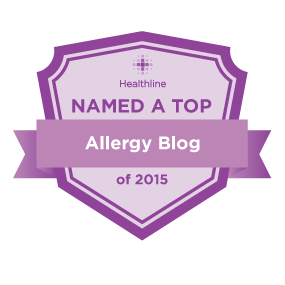 How does IgG fit in with food allergies? 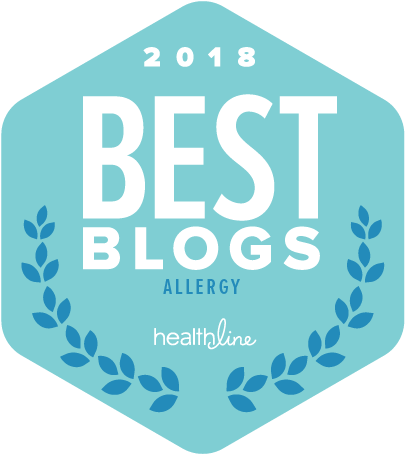 According to Dr. Dave Stukus of Nationwide Children’s Hospital, IgG cells are more of a memory antibody – they don’t predict food allergy or food intolerance. Instead, IgG cells are a response of the immune system after the body has been exposed to a food. It’s no wonder some people get results many items long – it indicates they have a varied diet, but does not suggest food allergy nor food intolerance. In other words, they don’t recommend it as a diagnostic tool for food allergy or intolerance because it may result in unnecessarily avoiding healthy foods and cause undue stress and anxiety. What is an IgE test and how does it differ from IgG? Not to be confused with IgG tests, IgE tests are associated with food allergy and allergic responses. An IgE test measures immunoglobulin E, the antibody responsible for initiating and perpetuating an allergic reaction. It is measured through a blood test and the results are given as a number to indicate your likelihood of being allergic. Are there other diagnostic tests? Yes. Skin prick test are also often used. The skin is lightly irritated with a liquid form of various allergens. If allergic, the skin will develop a hive at each allergic location. The size of that hive will remeasured and recorded. If you suspect you or someone you know has a food allergy, be sure to talk to a doctor and get the right test so that you can make healthy decisions about how to stay safe and feel great. A FAMILY NEEDS OUR ASSISTANCE! Please review the Amazon Wish List (below) to help. Many at-risk and food insecure families across the country (and around the world) struggle with the cost of allergy-friendly food. Families in crisis – that are already struggling with major obstacles – are forced to make difficult decisions about how to feed and care for their food allergic children. They are sometimes forced to decide between feeding a child safely or at all. To face this terrible situation breaks my heart. I’m consulting with a case worker who has a family struggling with these very issues. Their child has multiple food allergies and they are struggling to afford the free-from food they require. They are in crisis. Let’s make things easier for them. We can help this family feed their young child as they weather this difficult transition. Please visit AllergyStrong or Allergy Shmallergy‘s Facebook page for more information. Before you head out of town for Thanksgiving, please be sure to check your EpiPens! A new advisory issued by the FDA warns that some EpiPen Auto-Injectors may not slide of out the plastic carriers case easily. The labels attached to some of the EpiPen 0.3mg and 0.15mg auto-injectors as well as the authorized generic versions of the same strengths may prevent the devices from easily slipping out of the protective carriers, making access to the auto-injectors difficult or impossible. In a letter of explanation, Pfizer (the makers of Mylan’s EpiPens) notes that the labels may have been improperly applied during manufacturing. In an emergency, this may make it hard for patients to get their auto-injectors out of the carrier tube, delaying administration of epinephrine. If a patient has a device that does not slide out easily from the tube or a label that is not affixed properly, please contact Mylan Customer Relations at 800-796-9526. For more information, please read the joint statement from Mylan and Pfizer here. 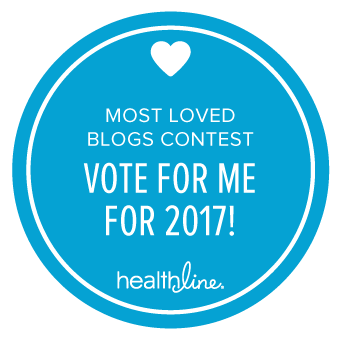 We all know that the best treatment for anaphylaxis, a severe life-threatening allergic reaction, is an immediate dose of epinephrine. So, why then do patients not carry it? Some patients do not have access to epinephrine. Although the drug epinephrine itself is not expensive, the devices used to administer it can be very costly. Sometimes prohibitively so. Many are working to reduce the price families must pay at the pharmacy. The makers of Auvi-Q, for example, are offering their product for free to those with commercial insurance (including those with high deductibles and for whom it is not covered) in an effort to get epinephrine in the hands of patients who need it [read more here]. A generic EpiPen has just been approved by the FDA to be introduced in the coming year. Teens are a group known for their non-compliance in carrying epinephrine. Teenagers, wired to take risks and extra concerned about fitting in with peers, are often found without epinephrine when they critically need it. In an effort to be like everyone else, they some times purposely leave their auto-injectors when socializing with friends. Adolescents will also mentally minimize the perils of leaving their auto-injectors at home and/or not reading ingredient labels while basking in the potential benefits of acting and operating like their friends and not drawing attention to themselves – a dangerous combination. Dr. Dave Stukus and his colleagues from Nationwide Children’s Hospital conducted a study four years ago of patients and their caregivers being seen by an allergist at their clinic. Among their patients at high risk, only 40% carried auto-injectors even though 60% knew that epinephrine should be carried with them at all times. Nearly 50% of patients carried expired devices and of the 60% diagnosed with asthma (which could make an anaphylactic reaction even more serious) only 38% carried had epinephrine with them at their clinic visit. Adults with food allergies fared no better. A survey was conducted earlier this year (March – June 2018) of 597 people representing themselves and their children (a total of 917 patients). While the majority of those questioned filled their prescriptions for epinephrine, almost half (45%) didn’t have their auto-injectors with them at the time of their most severe reaction. Shockingly, 21% didn’t know how to use their epinephrine auto-injectors (EAIs). In the same 2018 study, fewer than 25% of patients or caregivers routinely carried multiple auto-injectors despite the advice that all patients carry at least two self-administering epinephrine auto-injectors. Carrying two EAIs is critical in case one fails or a second dose is needed before emergency services arrives. First, all patients need access to epinephrine. Financial assistance is available! If you need help affording an auto-injector, please consider savings programs offered by the various pharmaceutical companies. The non-profit Kids with Food Allergies has an excellent article to help make EAIs more affordable, What to Do if You Can’t Afford Epinephrine Auto Injectors. Second, education about the difficulties and dangers of managing a severe allergic reaction without epinephrine is needed. This begins in the doctor’s office. Physicians should ask about how and how often patients carry their auto-injectors and discuss best practices to make carrying two EAIs a habit. In between visits, patients can learn how to properly use an epinephrine auto-injector and why there’s no need to be afraid of using it. Smart placement of epinephrine will help you remember to take it with you. It is important to note that you cannot store auto-injectors in your car (temperature fluctuations can affect whether the device will fire properly and how well the medication will work once injected). Instead, consider leaving it on a hook by the door you exit out of, next to your phone or keys, or set a reminder on your phone to alert you 10 minutes before you’re due to leave the house. There are always many ways to carry epinephrine. A purse makes it easy. But a drawstring cinch bag, gym bag or a backpack will work for men. Some auto-injectors fit right into a pant pocket! There are specialty products that help you carry your auto-injectors in inventive ways, such as running belts, wristlets, arm bands, leg holsters, clip-on bags, etc. Lastly, make it a habit. You know that feeling when you forget your phone? Or your lunch? With regular practice, remembering your epinephrine will become second nature. As Dr. Stukus sagely points out, emergencies are never planned. They are not predicted. Epinephrine auto-injectors are meant to be kept in arm’s reach. Carrying your epinephrine is certainly a lot less hassle than going to the emergency room for the night.